In the Rainbow Lorikeets we provide a nurturing and stimulating first preschool experience for your 3 to 4 year old. Children are supported to settle in and become confident and secure in the environment, especially in the early stages of the year. As the year progresses, we support children to develop a sense of identity as confident, capable and responsible learners, communicators and friends. 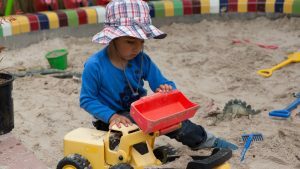 In these groups we plan learning experiences tailored to the needs of 3 to 4 year olds that emphasize ‘hands on’ creativity, play and exploration such as playdough, painting, sand and water play. Children are provided with long blocks of time to choose and become involved in play both inside and outside. Children are supported to connect positively and effectively with others in the group through strategies such as modelling of social skills and discussion of pro-social themes in children’s books. Respect for diversity is modelled and included in ways such as sharing how to greet others in different languages. Children’s inquiring minds are extended through building on their curiosity and using open-ended questions such as ‘what do you think would happen if?’ Literacy and numeracy are embedded in a holistic and natural way within the program such as songs and rhymes or discussions during play. The outdoor play environment is an equally important part of the program. A range of outdoor learning experiences develop key physical skills such as catching and throwing balls, balancing on stepping stones or stilts and pedalling and steering tricycles. 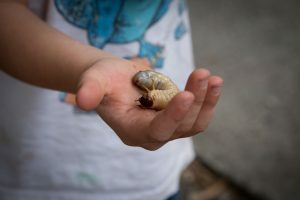 We provide opportunities to connect with the natural world such as observing and caring for our garden, and watching and listening to bird and insect life. Children are supported to develop an awareness of sustainability through discussion and participation in these activities. Parents are valued participants in the program and we look forward to a wonderful year with you and your child.